The style of the Gibson Girl will go down in history as one of the most recognizable hairstyle of the gay 1890's. But, how does one style their hair in the ominous Gibson Girl fashion? You add hairspray, tease, add more hairspray, tease some more, and hope that it comes out looking as full and luscious as the large coifs. Or, you can skip the teasing and spraying, and simply put on a wig. 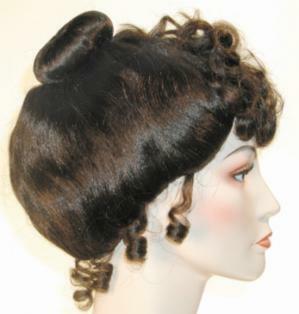 Some Gibson Girl wigs are as much as $80, which is much to expensive for the shopper on a budget. Wigs-us.com offers a beautiful wig for $42.95, and it is made with quality particles that make it easy to style. So, stop teasing, and pick up your wig today.